No film festival out there embodies and embraces the outdoor lifestyle way of living quite the way the Fresh Coast Film Festival is able to accomplish. Perhaps that is because the festival founders, all Marquette residents, are so near and dear to what the outdoor lifestyle represents to themselves and their community. With over 130 films screening at this years festival and several curated outdoor activities for patrons to attend, such as hikes, bike trips, yoga, and more, it’s easy to see why Marquette is such a special place, and such a fitting home for the Fresh Coast Film Festival. 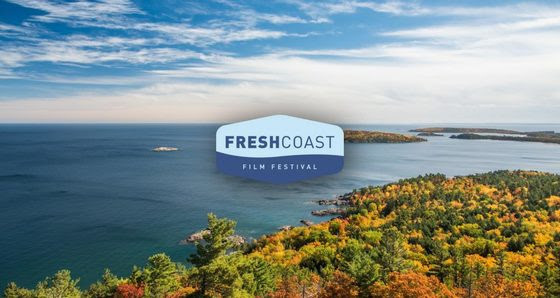 Another unique feature of the Fresh Coast Film Fest, is the partnership they’ve formed with Northern Michigan University. NMU students actually curate and lead the outdoor expedition experiences and do so for credit. This presents a wonderful learning experience for the students and brings them closer to the outdoor wonderland that exists everywhere around Greater Marquette.